Heinz Baby Basics cups have been specifically designed to help your baby learn about and identify the characters hidden on the cup base. 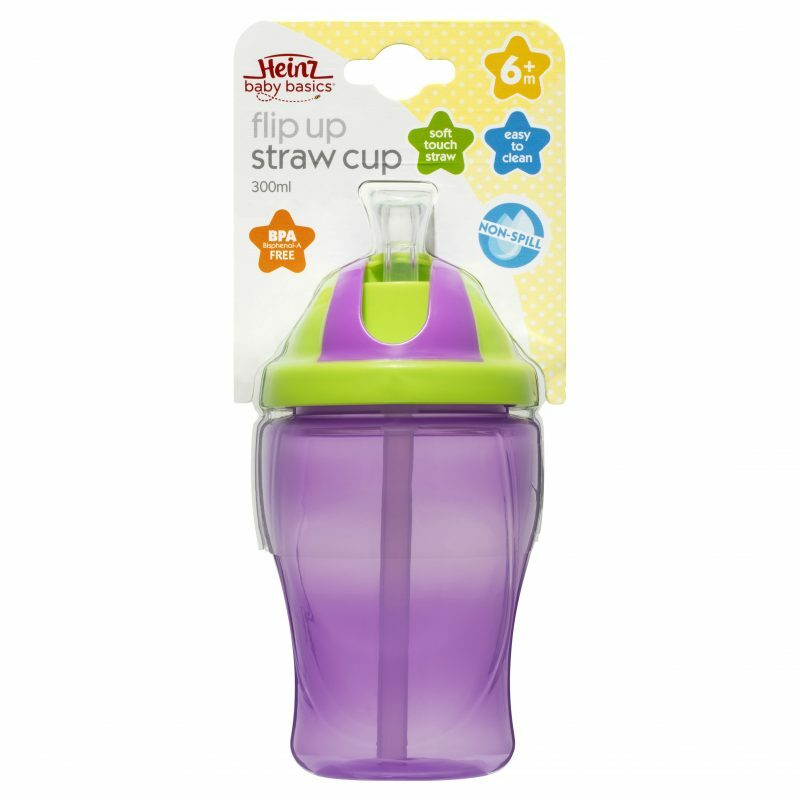 The base is easy to hold and the shaped soft touch straw protects delicate gums. 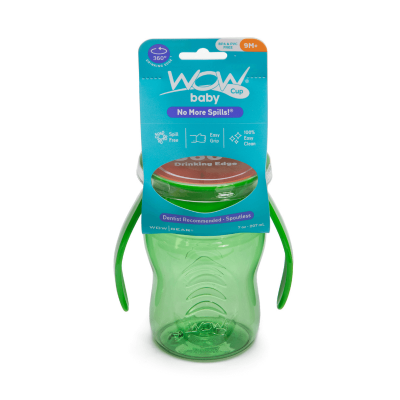 Its built-in non-spill valve prevents unwanted spills and is easy to clean. Straw is cleverly designed to simply flip down with a hygienic cover when not being used. Microwave Safe (Lid loosely removed).